I have several lines of this phenotype, one of which will become the final selection to go with the name. For now this can be considered a type that includes solid rose-red heart leaves, or hearts that are painted in red and gold patterns. At the Portland Breeder's Variety Showcase, bowls or these were mistaken for Treviso chicory hearts. 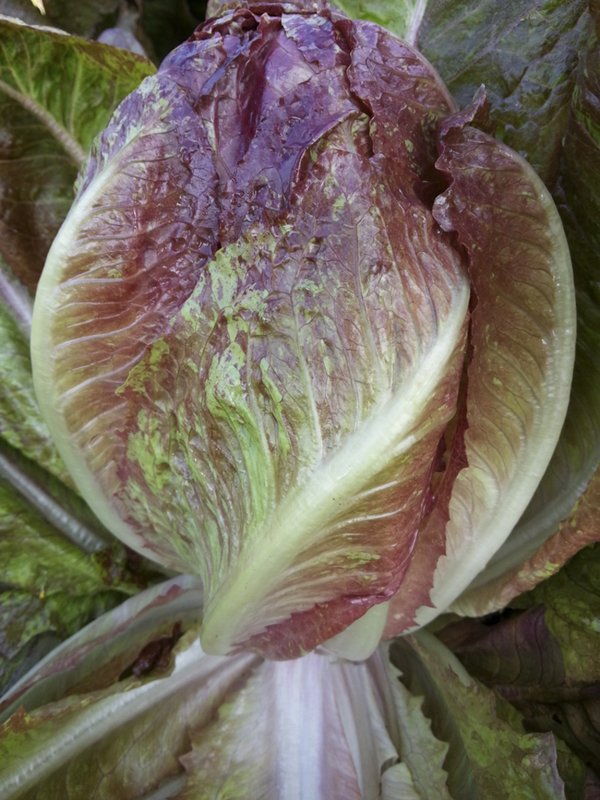 But the taste and texture is all lettuce--crisp, juicy, sweet, and always welcome. Farm Original Variety! OSSI (Open Source Seed Initiative) Pledged Variety.